A Christmas Feeling a collection of classic standards and original Christmas songs all with a completely new twist arranged and performed by Virginia Luque and Jack Pearson. 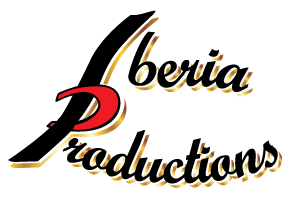 is a classical and flamenco guitarist from Algeciras, Spain, whose extraordinary technical virtuosity is revealed in a Spanish romantic style. Ms. Luque began the guitar when she was four, started formal training at six and gave her first concert at the age of seven. Shortly after hearing her perform, the legendary Spanish guitarist Andrés Segovia invited her to study privately with him. She received a masters degree from the Conservatory in Spain and at Segovia’s suggestion, came to America and received a masters degree from the Juilliard School in NY. Ms. Luque has recently recorded Rodrigo’s Concierto de Aranjuez with the London Symphony Orchestra at Abbey Road Studios. She has been awarded First Prize at several international competitions, including the “Manuel de Falla” Competition for Classical Guitar in Granada, Spain, and has received the Lincoln Center Scholarship among other awards. Concerto performances have included the Concierto de Aranjuez with the New York Virtuosi Orchestra, the Hartford Symphony Orchestra, the North Arkansas Symphony Orchestra, Riverside Symphony, the Seoul Symphony Orchestra, the Izmir Symphony Orchestra, Antalya Symphony Orchestra and she has premiered her own concerto with the Alexandria Symphony. Recitals have included Carnegie Hall, Town Hall, The Metropolitan Opera House, The Frick Collection in New York City, and numerous concert halls throughout the United States. She was also invited by Christopher Parkening to do a special guest recital at the Christopher Parkening International Master Class at Montana State University. In addition, Ms. Luque is the Music Director of the New York Women’s Philharmonic and Founder of a non profit organization called Music for Life NYC. She has garnered the First Prize in an International Poetry Competition based in Puerto Rico with one of her four poetry books, and she has also graduated as “Chef” from the French Culinary Institute of New York City. Homage To Agustín Barrios - Live from the National Opera Center. Agustín Barrios Mangoré (1885-1944) was a Paraguayan guitarist and composer. Revered as one of the greatest guitarists and composers of the century. His music was not discovered until three decades after his death and only about one hundred of his pieces, a third of his collection, have survived, along with gramophone recordings of his guitar mastery. Many of his pieces draw from Latin American folklore and some from romantic or baroque styles. All are technically demanding and hauntingly beautiful. Spanish Masterworks for the Guitar - with The London Symphony Orchestra. Featuring Concierto de Aranjuez, by Joaquín Rodrigo. All About Bach - Voume I - Johann Sebastian Bach publicly shared that his compositions were written for the Glory of God, as he indicated S.D.G ( Soli Deo Gloria ) to each score. No matter what your personal perspective, one has to agree that Bach’s music can connect on a spiritual level. He has provided some of the most glorious perfection ever created in music. Despite whatever trial Bach endured in his personal life, his genius found expression in a variety of musical languages. The following selections are a small example of his “Universal Gifts”, compiled in this first volume of our beloved Bach. All Suites, Sonatas and Partitas, although written for other instruments have been transcribed for the guitar. ALL MOZART - The Moravian Philarmonic Olomouc, conducted by Virginia Luque, with Grammy Award Winning Pianist Sonia Rubinsky, featuring an all Mozart program. The Piano Concerto 21 in C major K. 467 and Symphony 40 in G minor K. 550. Virginia Luque: conductor, is the Founder of Music for Life NYC and music director of the New York Women’s Ensemble, musician Virginia Luque is a native of Algeciras (Cadiz), Spain. A conductor and world-renowned guitar virtuoso, Virginia Luque began studying privately at the age of 11 with musical legend, guitarist Andres Segovia. She has performed in major concert halls around the world, thrilling audiences with unparalleled performances of exquisite musicianship and beauty. 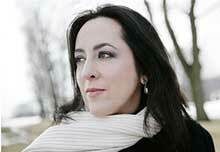 Ms. Luque recently recorded Rodrigo’s Concierto de Aranjuez with the London Symphony Orchestra at Abbey Road Studios. As a conductor, Ms. Luque has recorded the Mozart Piano Concerto in C major, K.467 with Grammy Award-winning pianist Sonia Rubinsky, and the Mozart Symphony in G minor, K.550, with the Moravian Philharmonic Orchestra. Ms. Luque’s other pursuits earned her First Prize in the International Competition of Poetry based in Puerto Rico, and her Professional Chef degree from The French Culinary Institute of New York. Sonia Rubinsky: pianist, reflects the great tradition of virtuoso performance with constantly acquired new repertoire ranging from the Baroque to contemporary. Ms. Rubinsky made her first appearance as soloist with orchestra at the age of 12. Singled out by Arthur Rubinstein for her strong musical temperament, she was encouraged to pursue her doctoral studies at The Juilliard School. Ms. Rubinsky has appeared as soloist with the symphony orchestras of Phoenix, Richmond, Springfield, Syracuse, and the Orchestra of St. Luke’s; has performed worldwide as a recitalist, and has toured Brazil extensively, appearing with its most notable orchestras. In 2009, she received the Latin Grammy, Best Recording of the Year Classical Category for her eighth CD of the Complete Piano Works by Villa-Lobos for Naxos. She has recorded works by Scarlatti (Algol) for which she won the Carlos Gomes Prize in Brazil, Mozart (Clássicos), and Mendelssohn (Algol). 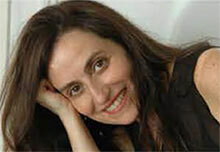 Ms. Rubinsky is Artist-in-Residence at the Aldwell Center in Jerusalem, Israel. She lives in Paris, France. 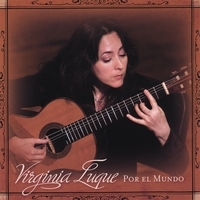 Por El Mundo Virginia Luque plays classical and flamenco music in a Spanish romantic style, combining extraordinary technical virtuosity with beautiful tone and musicianship. A native of Cadiz, Spain, Ms. Luque began playing the guitar when she was four, started formal training when she was six, and gave her first concert at the age of seven. After hearing her play, the legendary Spanish guitarist, Andres Segovia, invited Ms. Luque to study privately with him. She received her Master's degree in Spain and at Segovia's suggestion came to America where she also received a Master's degree at the Juilliard School in New York City.